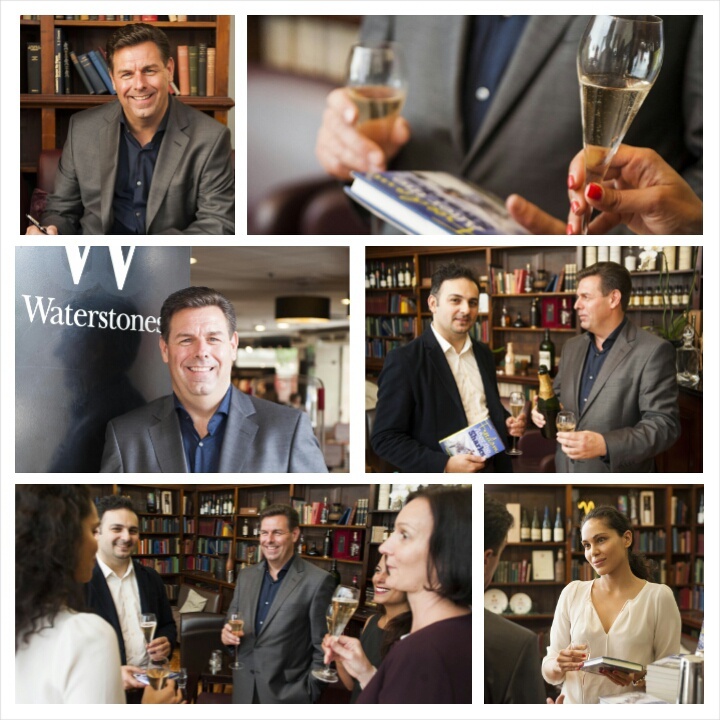 My book was launched and it has been an incredible journey. I am so proud of my book and hope you will enjoy reading it. I wish to pay tribute to my late Grandmother and Grandfather Annette and George Searle, who I love dearly. Of course, I could not have done this without the support of many friends and colleagues who are all amazing. Below you will see the images of the day! 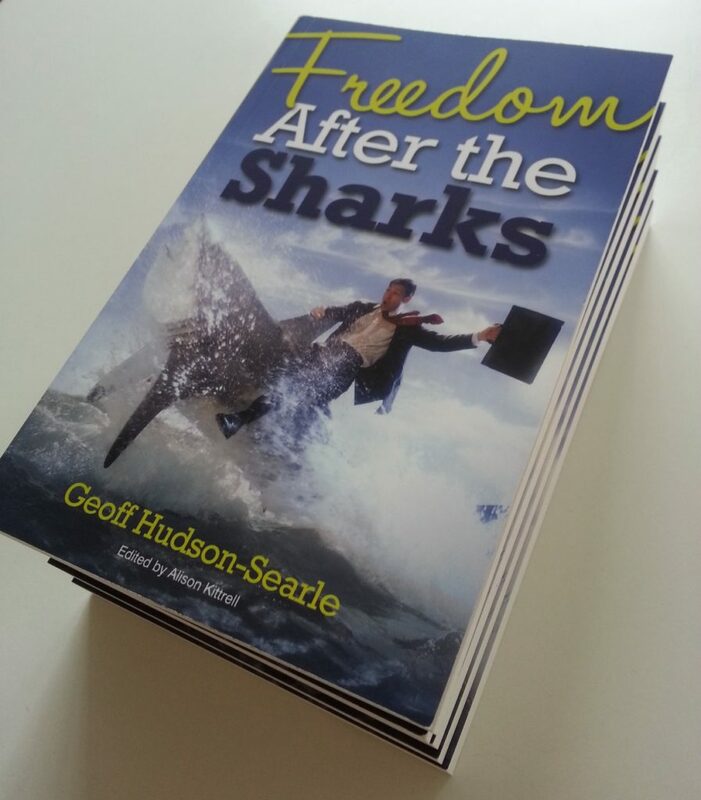 Win a signed copy of Geoff Hudson-Searle’s Freedom After The Sharks! 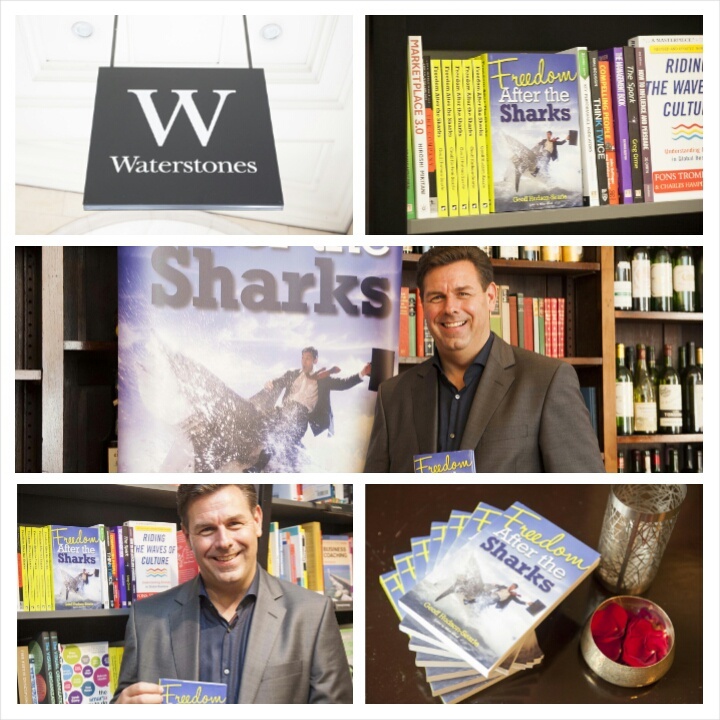 Win a signed copy of Freedom After The Sharks! Can you guess how many books are in this stack? For your chance to win a signed copy, look closely at the image and guess how many books are in the stack. You can click on the image to enlarge it. Leave your answer in the comments section at the bottom of this post. The 5 closest or correct answers will win a signed copy! The competition closes at midnight on 28 September 2014 GMT. The five winners will be announced next week and will be given an email address to contact us to claim their books. 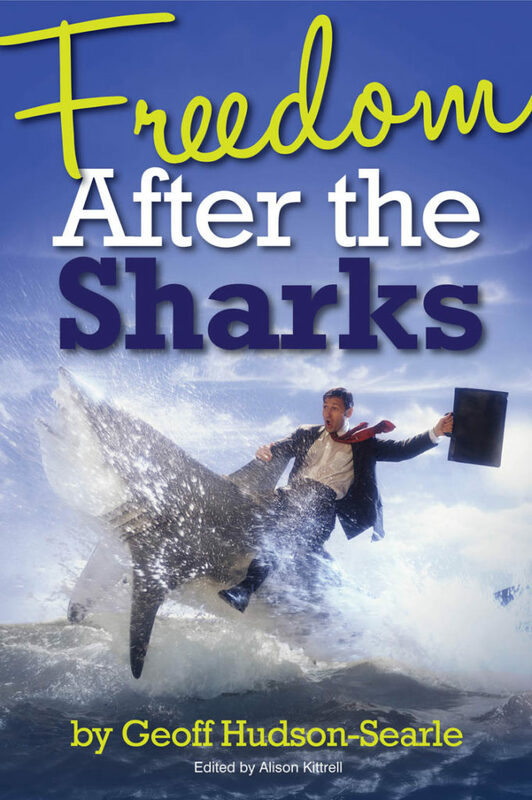 Freedom After The Sharks is the story of a man who, despite a difficult family life, developed the determination, drive and skills to create a successful business and a happy life. Freedom After The Sharks shows how, even in a declining economy, a business can survive and even succeed. It covers real-life experiences and offers some suggestions for dealing with problems and issues. It provides a guide to finding your way in the business world. Why not download a free chapter? 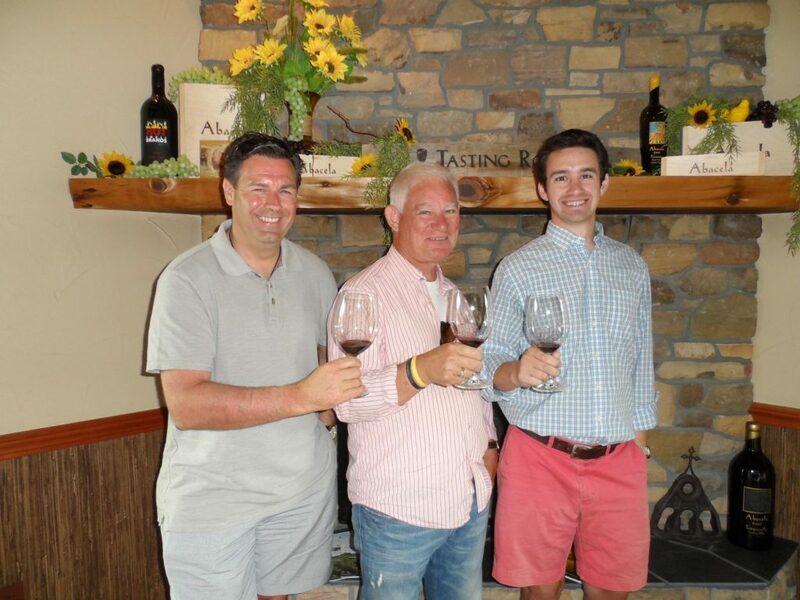 My recent visit to Oregon became even more interesting when Mark and his wife Jackie introduced me to their wine cellar and the local Pinot Noir. Pinot Noir is one of the oldest grape varieties used for making wine. Ancient Romans knew this grape as Helvenacia Minor and vinified it as early as the first century AD. It is recognized worldwide as a great wine grape. 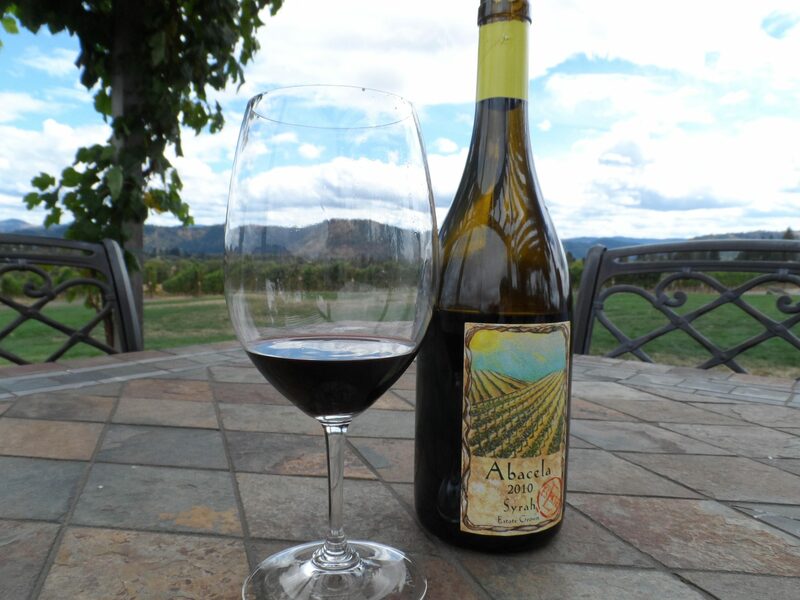 We visited several vineyards whilst in Oregon, in particular the Abecela vineyard which is renowned for winning gold awards for its wine. It was clear that Pinot Noir is also one of the more difficult wines to ferment. Partly due to the presence of 18 amino acids, which are naturally balanced in this variety, Pinot Noir ferments violently, often “boiling” up and out of its container, speeding the process out of control. Colour retention is a major problem for the thin-skinned berries. Pinot is very prone to acetification and often loses the sometimes promising aromas and flavours it seems to display through fermentation and aging, as soon as it is bottled. There is one part in which Pinot Noir seems naturally quite rich, three to four times higher compared to other varieties, especially when it is grown in cooler and more humid climates: resveratrol. While this may not affect the aspects of sensory enjoyment, it may draw the attention of health-conscious consumers. Apart from enjoying Mark’s and Jackie’s amazing company in the beauty of Oregon, I could not help but think about the wine process which lead me on to the process of ideas, preparation, design and development, implementation and execution of a strategic plan. Which lead me on to a more meaningful discussion around strategic planning and why you need a strategic plan. Developing strategy takes time and resources. It requires the time and commitment of some of the most highly paid and highly experienced people in your organisation. So, if your team is not willing to invest what is needed, I recommend that you do not do it. Poor planning is often worse than no planning at all. Why take time for planning? Just like a great wine, strategic planning takes time, energy, and a focused effort to coordinate the actions of people and groups whether their number is 5, 50, 500, or 1,500. The ultimate goal for a strategic plan is to enable your team to focus on a small set of desirable, clearly articulated outcomes to produce desired results. After all, if the team doesn’t know the vision or direction, how can they stay engaged? The biggest benefit of strategic planning comes from the actual process itself. It is executing the process which drives everything else; even the final planning document itself is less important than the “all for one, one for all” process of thinking through the strategies. So just like an excellently fermented Pinot Noir wine, without the plan, engagement, the process and the capital resources, and performance improvement, the chances are it could fail. I recently had the fortune of staying with a good friend and his wife, who is a successful author and entrepreneur living in the Portland area of Oregon, in the United States. 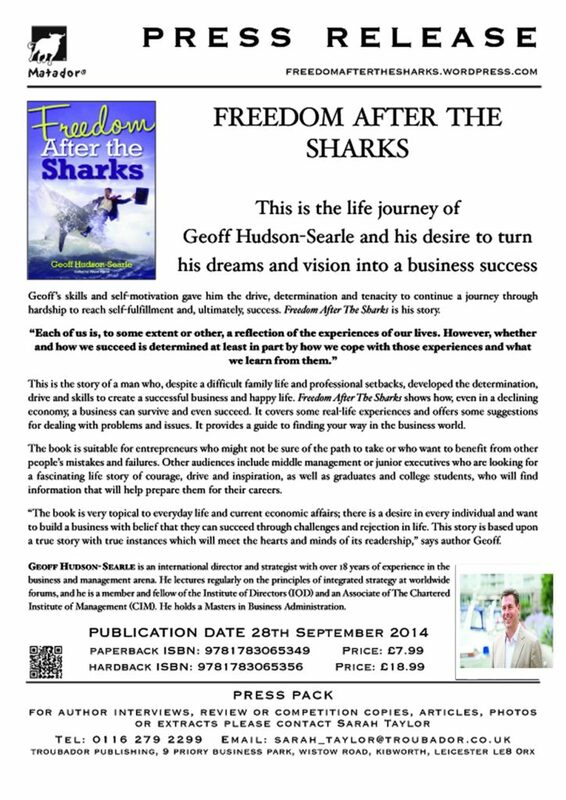 Mark Herbert was a very big inspiration to me when I wrote Freedom After The Sharks, and a true mentor. Mark is the Senior Principle and Founder of New Paradigms LLC. During my trip we decided to take a car trip to have lunch in a beautiful coastal town on the West Coast called Florence – Oregon. 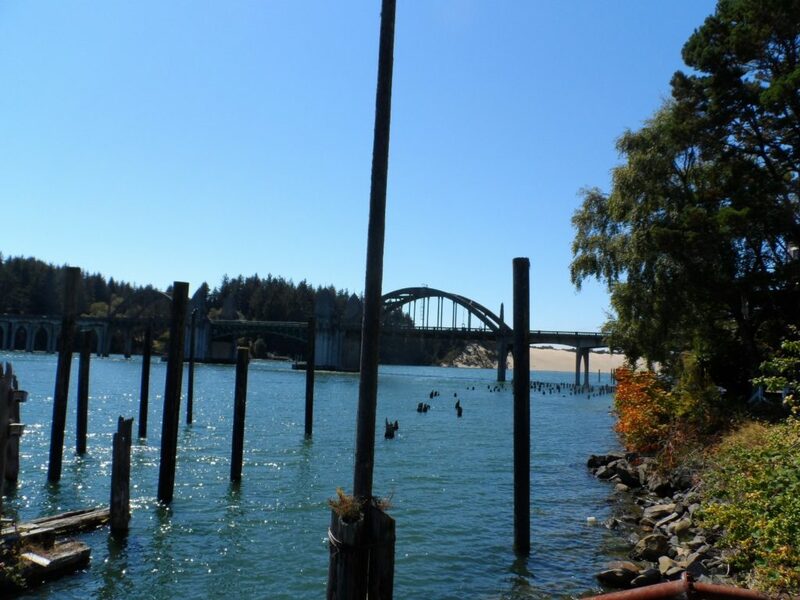 Florence is a city in Lane County, Oregon in the United States, with a beach resort, restaurants, art galleries, boutiques and has a very affluent local community. 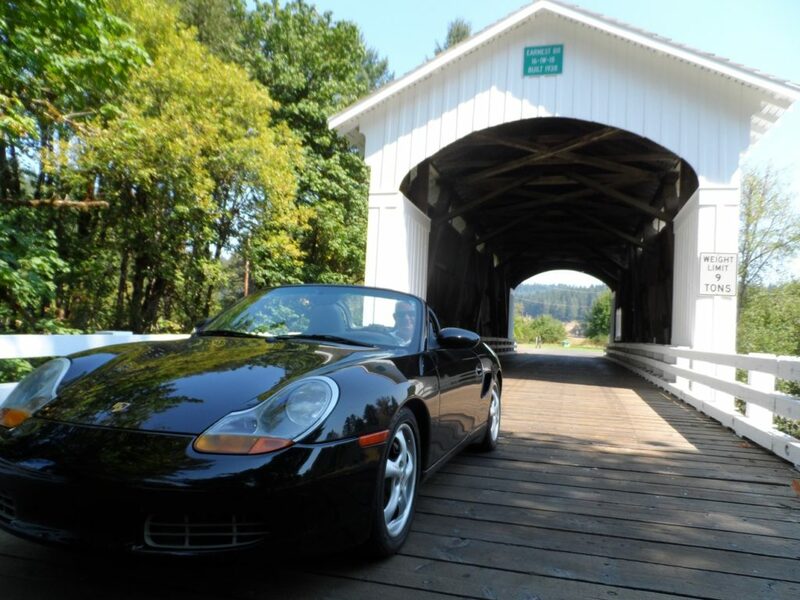 Mark has a strong passion for thought leadership, business and fast cars, so we took his Porsche convertible on a very scenic drive to the city of Florence. Admiring the incredible view’s, we could not help but discuss strategy today. I have always made statement to the fact that ‘strategy has not really changed since the Roman days, but it does seem to get more complex.’ This prompted much discussion around the subject and included some very interesting insights from one of Mark’s favourite authors Jack Whyte. Mark then introduced one of Jack Whyte’s books to me ‘The Singing Sword’ which is book two of The Camulod Chronicles. I could not help but think of the days King Arthur was in power and of Julius Caesar. How were the words honor, integrity, probity, morality and self-sufficiency used then and exactly what can we learn from this era about ethical or moral conduct of a business or operation today. Do we lack determination, imagination, courage, and passion in today’s business world? Are we lost in the big data phenomenon and blame/accountability of others? Do we actually take responsibility of our actions with others? How is this effecting the way we behave , our conduct, and more importantly the outcomes? So as you can imagine this discussion did provoke lateral thinking around our experiences and learnings from assignments, when finally we came to historical information vs. historical thought. Mark stated that there is a great deal of historical knowledge around today. We are awash with books on history, massive biographies, and philosophy on historical figures. Information on history is much broader than ever before, but there is very little historical thought across both spectrums in the business world. As a famous lord, Lord Acton, once said ‘historical thought is far more important than historical knowledge’. Historical thought is using the lessons of history to understand the present and to make decisions for the future. Can or should we be using history as an analytical tool and making use of the lessons of history? If we were to draw lessons from the Roman Empire and experience it in our everyday existence, as human nature never changes, similar circumstances will always produce similar events. Churchill did change history and this should act as a guide and impediment to understanding the present, so that we can change the future. Do we have the reserves of moral courage that the Romans did to undertake that burden of empire or in business? If we make change, what will be our legacy to the next generation? Are we generous in spirit, determined to leave the world a better place, or are we hoping that an algorithm or technology is the answer? Should we constantly refer to the Roman era or can we instill the disciplines, teachings, values and techniques that are far more enduring and far better than that of the Roman era? My book comes out Sept 28, 2014!